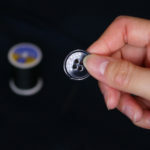 Quick sewing tutorial showing you how to sew a button on by hand, no sewing machine required! 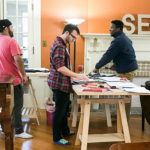 In this basic sewing lesson for beginners, you will learn how to sew a button onto your clothes using a needle, thread, and scissors. It’s simple and easy.